Indoor there is a large sports hall available which is fully fitted with bright lighting, nets, hoops and marked flooring for a variety of sports. The sports hall is able to be split into two using the nets which reach the width of the hall. 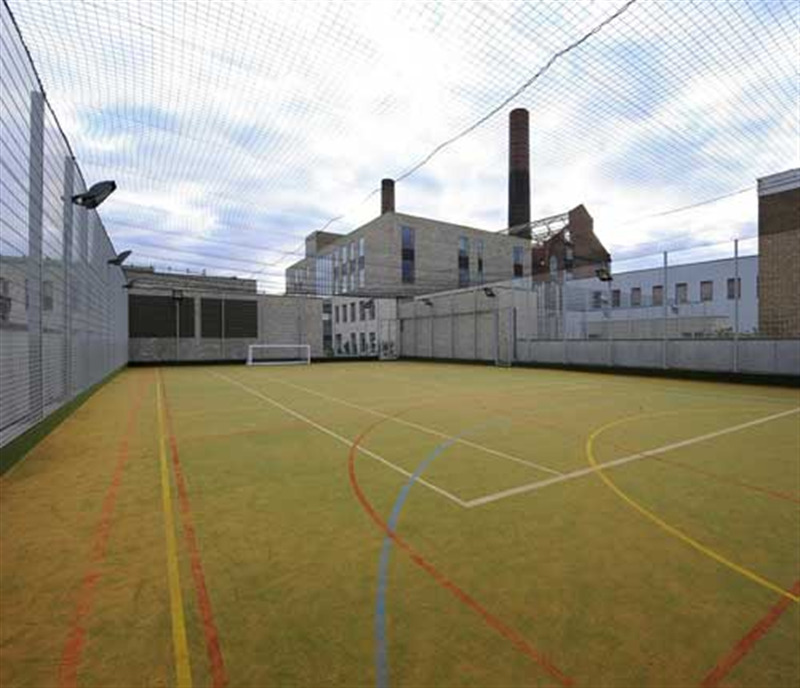 This space is ideal for sporting activities or events such as badminton, football, netball, basketball, korfball, dodgeball - or to hire out for childrens parties. There is also a cafe area available to be opened which is great to cater any social events, childrens parties, corporate events, training days etc. Classrooms are also available to hire for training days with seating and interactive smart boards for presentations. There is also a large theatre that can seat up to 340 people, the seating is retractable making the space versatile to fit your requirements. It if fully fitted with stage area, projector, big screen, grand piano, full PA system, high-tech lighting, and space can be used with the drama room if needing larger space. It is an ideal area for cinema events, corporate events, lectures, training, performances, rehearsals and more. 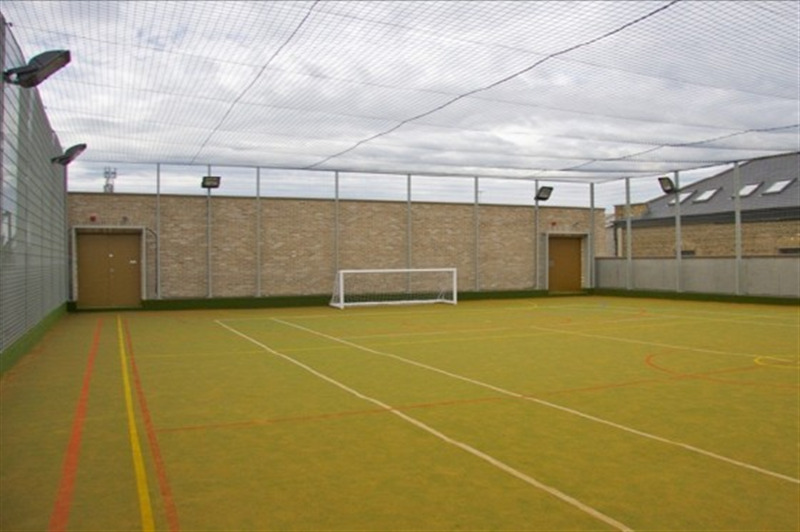 Outside is fitted with two Multi Use Games Areas (MUGAs) they are located on the first floor roof which gives a nice surrounding view from the pitches. They are fence caged pitches with net roofing to make sure ball is kept in play. The smaller MUGA is fit for 5 a side football and the larger pitch is for a full size 11 a side game.